Professional Medical Translation Services - Niki's Int'l Ltd.
Medical translation services are invaluable to doctors, nurses as well as any professional working in any facet of the healthcare industry. 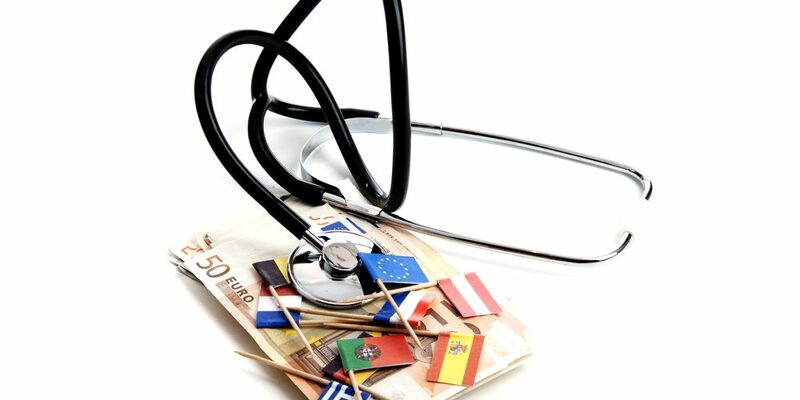 Medical translation is heavily relied on, not just for doctors and nurses who regularly interact with limited English proficient (LEP) patients but it also enables the spread of medical knowledge and procedural development from around the world as well. It’s a difficult form of translation that requires the aid of a translator who is highly trained, educated and experienced in the medical field. Due to the difficult concepts and strenuous terminology, it’s important to only hire a professional language service company (LSC) who can pair your project with the most capable translator. When you’re providing healthcare services to LEP patients there are extra steps that need to be taken in the process as to ensure everyone involved is on the same page and fully understands the information being provided. This includes but is not limited to patient history forms, prescriptions, care instructions, procedural sign offs… If information is translated incorrectly or if there is one word off there can be detrimental outcomes. Think about the difference between the words add and subtract or right and left, if words as simple as these get mixed up or translated incorrectly, a person could have the wrong kidney removed or take too much of a prescription and face an overdose. After a translation error led doctors in Spain to believe that Teresa Tarry needed a double mastectomy, the 49 year old mother of two has been left with traumatic emotional damage after “an eight-year living hell,” she was put through. The doctors told Mrs. Tarry that the golf ball sized lump was malignant and that both breasts needed to be removed, however, medical staff later learned that the lump was benign. Mrs. Tarry claims the doctors acted after a poor translation depicted that both her mother and sister had a history of cancer so the doctors acted preemptively. Healthcare workers rely on medical manuals and information that guide them on how to successfully complete a procedure or administer treatment. Oftentimes new medical developments are discovered in various parts of the world, so in order for that information to begin to spread and educate the minds of healthcare workers in other countries the documents must undergo the process of translation. If this step is skipped or if a reputable LSC is not used there can be irreversible damage to the well being of patients. A Spanish speaking man named Francisco Torres was in the hospital in order to have a diseased kidney removed. Hospital staff directed Mr. Torres to sign a consent form that indicated which kidney was to be removed. The paperwork was in English and an interpreter was never provided, so Mr. Torres unknowingly signed the consent form without the knowledge that the hospital was planning on removing his healthy kidney. Knowledge of the mistake did not come to light until after the healthy kidney was removed, so they went back in and removed the diseased kidney as well, leaving Mr. Torres with no kidneys. Hiring a professional for medical translation projects is a must, the documents being translated provide such vital and specific information that it’s mandatory the translation be completed with the highest form of accuracy. If medical translation is not taken seriously or left in incapable hands, a risk is created that could potentially cause additional injury, a mix up of prescriptions or in extreme accounts death can occur due to poor translation. Don’t allow possible negative outcomes to come into fruition due to a lack of taking the appropriate protocols to ensure accuracy is accounted for in all regards. Establishing medical translation as a required step when dealing with LEP patients or when providing medical information via documentation is the only way to effectively combat language barriers faced in healthcare settings. Avoid the liability involved with poor medical translation by hiring an established and reputable LSC who will treat your medical translation project with the highest regard. Niki’s Int’l Ltd. is a WBENC-Certified Women Business Enterprise with 20 years of language service experience. A global network of highly skilled translators and interpreters are available 24 hours a day, 7 days a week for on-site, telephonic and video remote interpretation services. Our linguists are available in over 350 languages and dialects, and our network includes certified translators and interpreters. Our work is guaranteed with a $1 Million Errors & Omissions policy, so that you can be confident that your project will be completed with the highest level of quality and professionalism within the field. For more information contact us at 1-877-567-8449 or visit our website at www.nilservices.com.